Blu-ray movies and free tacos sounds like a pretty great way to spend a Thursday night for us, but today we also have some deals on the MacBook Air, flash storage and gasoline! • Westinghouse 47" 1080p HDTV for $899 plus free shipping (normally $1,499). • Sharp Aquos 46" 1080p LCD HDTV for $1,429 (normally $1,799). • Pioneer 5.1 Surround Sound Home Theater System for $168 (normally $299). • Blu-ray Action 3-pk with Casino Royale, Black Hawk Down & Hellboy for $33.95 plus free shipping (normally $97.86). • Blu-ray Comedy Bundle with Superbad, You Don't Mess With the Zohan and Talladega Nights: The Ballad of Ricky Bobby for $40.95 plus free shipping (normally $117.87). • Firefly - The Complete Series on DVD for $21.99 plus free shipping (normally $49.99). • Apple 13.3" 1.6GHZ MacBook Air for $1,149 (normally $1,249.99. Use rebate form). • Apple 13.3" 1.8GHZ MacBook Air for $1,399 (normally $1,649.99. Use rebate form). 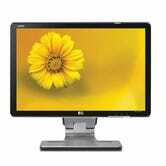 • HP 22" Widescreen LCD Monitor for $179.99 plus free shipping (normally $338). • Lenovo 3000 N500 15.4" Laptop for $399 (normally $499). • Kingston 2GB SD Flash Card for $4.55 plus free shipping (normally $19.99). • Kingston 32GB DataTraveler Flash Drive for $59.97 plus free shipping (normally $99). • $300 Gas Coupon with any product $99.99 and up (normally $300 - deal is limited to the first 2,000 customers).